The Frigid Golden Age is a manuscript (2018, Cambridge University Press) that offers the first detailed analysis of how a society thrived amid the Little Ice Age, a period of climatic cooling that reached its chilliest point between the sixteenth and eighteenth centuries. The precocious economy, unusual environment, and dynamic intellectual culture of the Dutch Republic in its seventeenth-century Golden Age allowed it to thrive as neighboring societies unraveled in the face of extremes in temperature and precipitation. By tracing the occasionally counter-intuitive manifestations of climate change from global to local scales, I find that the Little Ice Age presented not only challenges for Dutch citizens but also opportunities that they aggressively exploited in conducting commerce, waging war, and creating culture. The overall success of their Republic in coping with climate change offers lessons that we would be wise to heed today, as we confront the growing crisis of global warming. "Some places flourished in the Little Ice Age. There are lessons for us now." Washington Post, 2018. Dagomar Degroot, “‘Never such weather known in these seas:’ Climatic Fluctuations and the Anglo-Dutch Wars of the Seventeenth Century, 1652–1674.” Environment and History 20.2 (May 2014): 239-273. 2013: Travel grant to attend and present a paper at the World Congress of Environmental History in Guimarães, Portugal. Network in Canadian History and Environment. $1,500. 2013: Travel grant to attend and present a paper at the Northern Nations, Northern Natures workshop in Stockholm, Sweden. Network in Canadian History and Environment. $500. 2012-13: Ontario Graduate Scholarship, Government of Ontario. $15,000. 2012: Travel grant to attend and present a paper at the Past Global Changes (PAGES) Fourth Open Science Meeting in Goa, India. Network in Canadian History and Environment. $1,500. 2011: Fellowship at the International Institute for the History and Heritage of Cultural Landscapes and Urban Environments (CLUE) at the Vrije Universiteit, Amsterdam. €1,500. 2011: The Michael Smith Foreign Study Supplement for the Joseph-Armand Bombardier Canada Graduate Scholarship, Government of Canada. $5,505. 2009-12: SSHRC Joseph-Armand Bombardier Canada Graduate Scholarship (Doctoral), Government of Canada. $105,000. 2008: Graduate Entrance Scholarship, York University. $4,000. Civilization and the Cosmos is a manuscript (Harvard University Press, Viking UK) that will be among the very first to explore the environmental history of outer space. It argues that sudden and profound environmental changes across the solar system have long influenced culture, altered economies, and provoked political upheaval on Earth. It shows how scientists, engineers, and military officers have imagined and even started to undertake the transformation of environments in outer space. It therefore reveals that the solar system has been a dynamic actor in human history, shaping and increasingly shaped by ideas and institutions in societies the world over. Civilization and the Cosmos covers roughly four centuries, from the sixteenth century – when environments, cultures, and ideas came into unprecedented contact and new technologies unveiled the universe as never before – to the present. It focuses on the cosmic environments that have had the greatest impact on human history: those of the Sun, Venus, the Moon, geospace (meaning outer space near Earth), Mars, Jupiter, the big moons of the outer solar system, and comets and asteroids. In short chapters that deal with each of these places, the book moves from the center of the solar system (the Sun) to its icy periphery. Along the way, it offers a history of strange interactions between human and nonhuman actors across wildly different scales in time and place. It finds, for example, that the discovery and militarization of the deep ocean led to changes not only to how we think about deep space, but also to space environments themselves. It reveals that nuclear accidents on Earth slowed the crewed exploration of the solar system; that environmental changes on Jupiter spurred the emerging outer space mining industry; and that dust storms on Mars convinced millions that aliens would soon invade Earth. This is big history that blends science and the humanities to offer new perspectives on humanity's place in the universe. Dagomar Degroot, “‘A catastrophe happening in front of our very eyes:’ The Environmental History of a Comet Crash on Jupiter.” Environmental History 22:1 (2016), 23-49. The speed and scale of anthropogenic climate change promises to be unprecedented in the history of human civilization. Yet in the past two millennia, Earth’s climate has repeatedly changed by roughly one degree Celsius. In the sixth century CE, catastrophic volcanic eruptions and perhaps a comet impact shrouded Earth in a veil of sunlight-scattering aerosols, sharply cooling its temperature. In the fourteenth century, major volcanic eruptions coincided with a gradual drop in solar radiation, again lowering global temperatures. A similar but longer-lasting confluence of plunging solar radiation and volcanic eruptions cooled the planet from the late sixteenth through the early eighteenth centuries. In each episode of global cooling, agricultural yields and animal ranges changed more quickly than farmers or hunters could accommodate. Great empires and small hunter-gatherer communities suffered alike, and some ceased to exist. Yet there were societies that thrived amid each climatic crisis. This interdisciplinary project investigates the reasons for their success. It aims, first, at discovering how global climate changes manifested at the regional and local levels that mattered for people in these societies. Second, it explores the diverse ways in which each society adapted to, and even exploited, climate changes to create wealth, wage war, and make culture. The completed project will yield lessons from the deep past that can inform present efforts at adapting to climate change. I intend for this project to yield a manuscript published by a major academic press, and at least two peer-reviewed articles. Dagomar Degroot, “‘Exploring the North in a Changing Climate: The Little Ice Age and the Journals of Henry Hudson, 1607-1611.” Journal of Northern Studies 9:1 (2015): 69-91. 2016: Pilot Research Project Grant for an expedition to Svalbard, Georgetown University, $11,000. 2015: Competitive Grant-in-Aid, Georgetown University. $1,415. 2014-16: SSHRC Postdoctoral Fellowship. $81,000. 2014: Travel grant to attend and present a paper at the American Society for Environmental History (ASEH) annual conference, Washington, USA. ASEH. $500. 2014: Travel grant to contribute to the Paleoecology of Subarctic Seas Working Group at the Ecosystem Studies of Subarctic Seas Annual Meeting in Copenhagen, Denmark. National Science Foundation. $1,500. 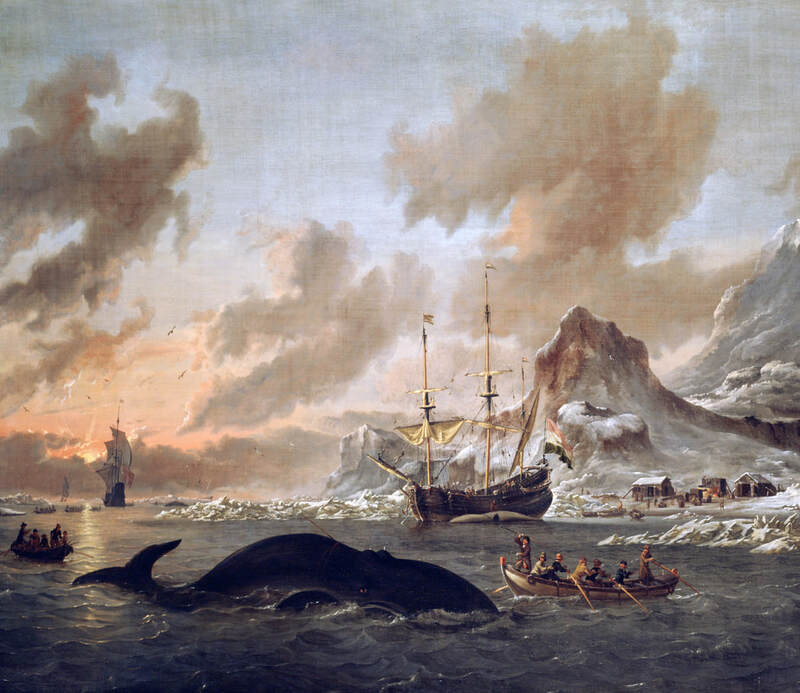 This project will explore how weather that accompanied the onset of the "Maunder Minimum," the coldest phase of the Little Ice Age in the Northern Hemisphere, affected military conflict across northern Europe, from the First Northern War in 1655 to the Glorious Revolution of 1688. It bridges two of the most vibrant avenues of study in environmental history: the history of climate change, and the history of connections between environment and war. I will begin this project by using interdisciplinary sources and methods to contribute new indices of average wind direction and precipitation to existing reconstructions of northern European weather during the Maunder Minimum. In the second phase, I will examine how climatic trends influenced the availability of resources and military operations that shaped the conduct of war in different European environments, by different European cultures. I will conclude by analyzing qualitative documentary evidence to determine how Europeans understood the climatic shifts that influenced their wars, and whether their military policies exploited an awareness of climate change. The project will provide essential context for present and future wars that are provoked and transformed by climate change. I aim to publish two peer-reviewed articles as part of this project, as well as a book chapter that introduces the climate history of warfare to an interdisciplinary audience. Dagomar Degroot, “‘Climate Change and Conflict.” In The Palgrave Handbook of Climate History, ed. Christian Pfister, Franz Mauelshagen, and Sam White. Basingstoke: Palgrave Macmillan, forthcoming. 2014: Traditional Fulbright Scholar Award. $12,500 (declined).